Wine & horse lovers will fall in love with this funny saying design! Stitch this onto a wine tote or denim shirt to wear! 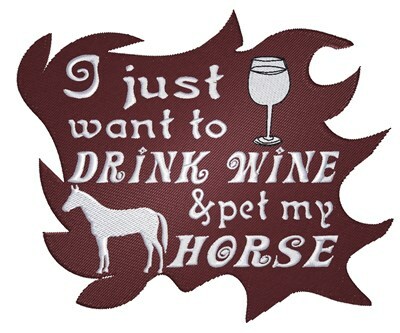 King Graphics is happy to present Drink Wine Pet Horses machine embroidery design which has 18845 stitches and is [124.46 mm x 104.14 mm] large. If you would like to view more embroidery patterns please search on our embroidery designs page.